Question: In 1986, who became the first female president of the Philippines? Last Question: In Ferris Bueller’s Day Off, what NHL team’s jersey does “Cameron” wear? If Ferris Bueller’s Day Off took place in Chicago, why did he wear a Detroit Red Wings jersey, you may ask (I know I did). Well, it was John Hughes paying tribute to his childhood hero Gordie Howe. SI.com: I was watching Ferris Bueller’s Day Off the other day and your jersey was on the screen the whole time since Ferris’ friend Cameron is wearing it. I was wondering if you knew that your jersey would be a part of the movie. Howe: Oh yeah, I sent them the jersey. They asked me for the jersey and I sent it out. It was nice seeing the No. 9 on the big screen. I had a lot of proud moments in that jersey. Question: What 7’6″ player became the tallest player in NBA history at that time? Last Question: In The Breakfast Club, what character used her cleavage to apply lipstick? Everyone claps. Bender’s clap is sarcastic and slow. ANDREW: All right, great! Where’d you learn to do that? ‘Fletch’ Reboot Back On Track at Warner Bros.
Warner Bros. and production company Anonymous Content have acquired the rights to Gregory Mcdonald‘s Fletch novels. The two companies plan to reboot the long dormant comedy-thriller series in collaboration with David List, who manages the literary estate of the late Mcdonald. This is not the first attempt to revive the franchise, which helped make a movie megastar out of Chevy Chase when he first played investigative reporter I.M. Fletcher in 1985′s Fletch (a sequel, Fletch Lives, followed in 1989). Way back in 1997, Kevin Smith showed an interest in making a third Fletch film, with Chase. Since then, various of directors and stars have, at various times, been attached to the project, including Ben Affleck, Zach Braff, and Hot Tub Time Machine director Steve Pink. 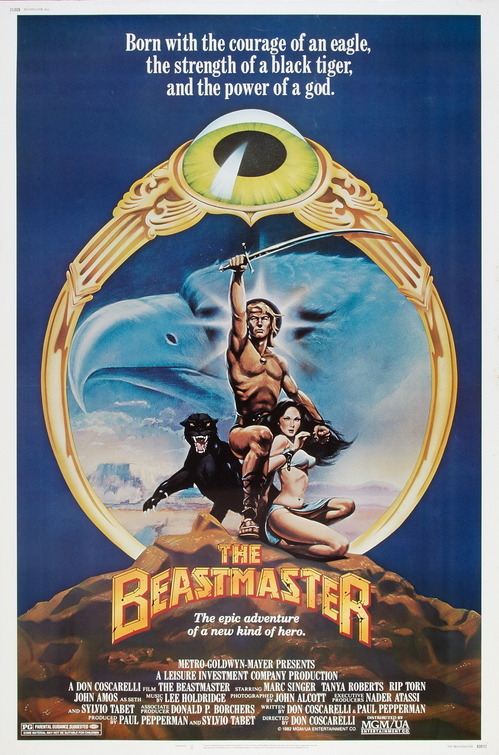 Personally, I used to watch this movie over and over. I didn’t care too much for Fletch Lives. But the original was Chevy Chase in his prime. I am glad he has had a resurgence on TV with his appearances on Chuck, and now on Community. I’ll wait and see what happens with this Fletch reboot before I weigh in. Question: Who earned Oscar nominations for Working Girl and Gorillas in the Mist in the same year? Last Question: In Revenge of the Nerds, what future ER star played “Gilbert”? Although Anthony Edwards is now famous for playing Dr. Mark Greene in the hit TV show ER, he was in some pretty big ’80s movies. In addition to Revenge of the Nerds, he also appeared in Fast Times at Ridgemont High as one of the stoners, The Sure Thing as Lance – Walter’s (John Cusak) best friend, and of course as “Goose” in Top Gun. What Cubs game did Ferris Bueller go to? The answer is revealed! Larry Granillo of Baseball Prospectus did some research, and from some clues, figured out the actual game that Ferris Bueller went to on his day off. Note: The baseball scenes begin at the 2:17 mark. The movie “Ferris Bueller’s Day Off” was released on June 11, 1986. The ballgame then must have been filmed either real early in the 1986 season or sometime during 1985. Looking at game logs from those seasons, we see that there was no game in 1986 in which Lee Smith (#46) faced the Braves at Wrigley Field. There were four such games in ’85, though Smith left the Braves hitless in one of those. Of the remaining three games, it isn’t hard to find the game we’re looking for. Sadly, we don’t have pitch-by-pitch data for the game, so we can’t verify all the details presented in the movie (an 0-2 foul ball from Washington and then a bunt foul? Was that a bunt by Ramirez before his home run swing?). I have no reason to doubt that they are correct, though. More interesting than that is the timeline that this presents for Ferris. It’s said in the movie that the reservation he stole was for noon, but we can’t say with certainty if that’s what time they ate. Seeing as how they finished the lunch with no hassles, it’s safe to assume either Abe never showed up or he showed up well after their lunch was finished. 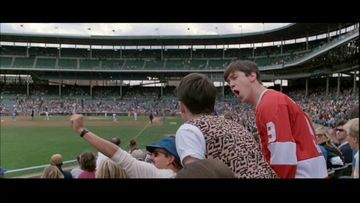 Either way, with a start time of 1:25pm that afternoon, there is plenty of time for Ferris and company to make it to Wrigley in time for the game. The eleven-inning game took 3:09 to complete, which means that the foul ball Ferris catches had to have been sometime after 4:00pm. That leaves, at the most, one hour and forty-five minutes for their trips to the museum, Sears Tower, the lake, and Sloane’s house, while squeezing in two musical numbers during the parade before racing home at 5:55pm. Seems a bit tough to squeeze all of that in for most normal people. But, seeing as Ferris has the magical ability to sound exactly like both a young Wayne Newton and a young John Lennon, I’m willing to believe he could make the schedule work. Now that we know exactly what was happening at the Cubs game they went to, “Ferris Bueller” fans will be clamoring all over themselves to add the signatures of Claudell Washington, Paul Zuvella, and Lee Smith to their posters “signed by the complete cast”. Anything less just won’t cut it. I’m just disappointed that the Cubs let the 25th anniversary go by last summer without a celebration. What a shame.